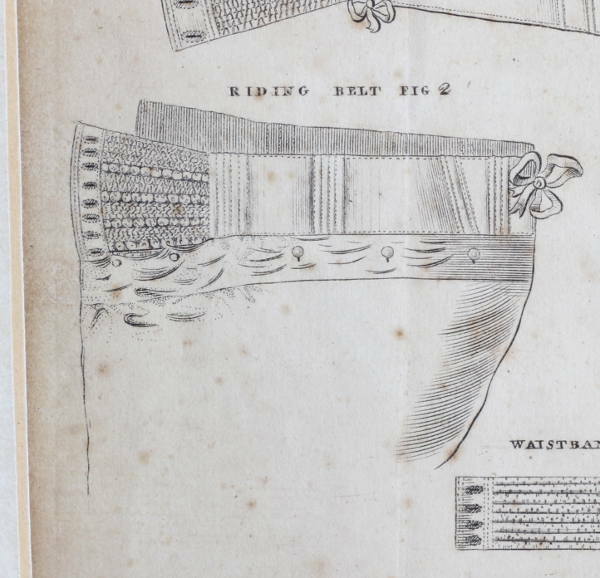 If I were King George IV I’m not sure that I would have given my Royal Warrant to someone who made “riding belts” so that they could effectively advertise my need for a corset. 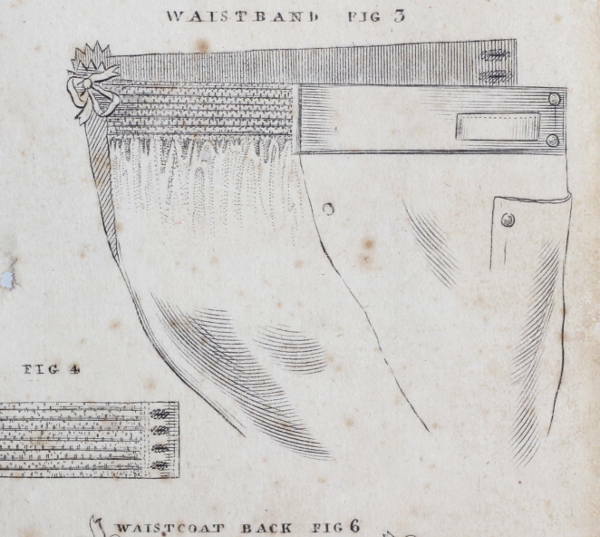 In ‘Adcock’s riding Belt’, by Peter Farrer in The Journal of the Northern Society of Costume and Textiles, no.3 (1999), the author describes Adcock’s patent of 1824 and the surviving man’s corset worn by Henry Wise in 1842, now at Castle Howard, and relates them to the pattern for George IV’s corset and the pattern in The Workwoman’s Guide. To learn more about George IV’s physique one can visit the website (or even better visit Brighton Pavilion itself…) where I read that ” It supposedly took three hours to lace the King into his girdle and whale bone corset of a morning due to all the “bulging and excresiances”. Once girdled his waist measured 55 inches. “. 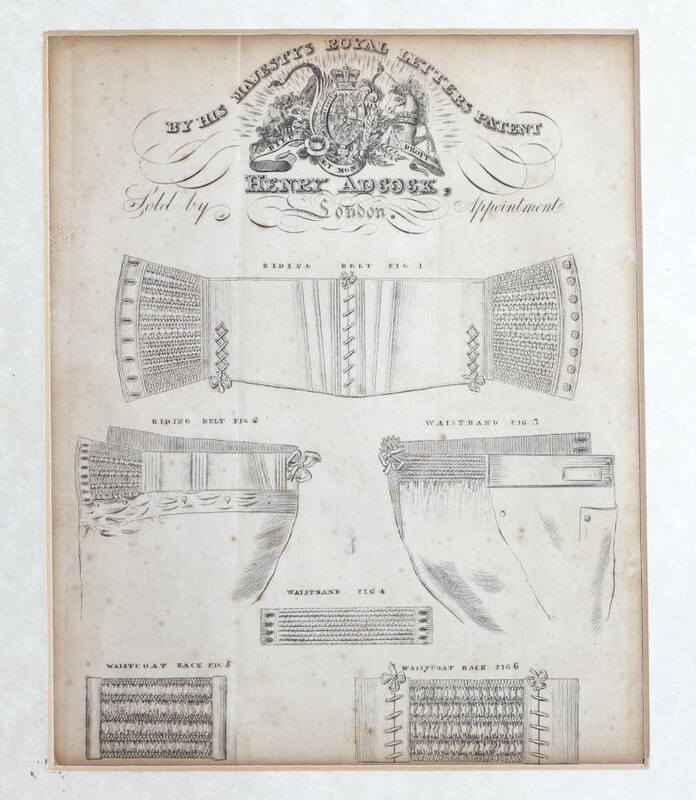 This entry was posted in Uncategorized and tagged adcock, corset, George IV, Georgian, riding belt, trade card. Bookmark the permalink.